In 1982 she came back, for me, for all of us. I was five-years-old and living in La Limonada, a section of Guatemala where you have to make, sell, get lemonade any way you can to survive. We lived in a one-room shack, five of us, with a dirt floor and two small beds that we pushed up against the wall to create a living space during the day. There were communal showers, one section for the women and one for the men, made out of unpainted cinderblocks creating a dark box with no electricity and when the water drained, the snakes would crawl in at night. Mi abuela and I always showered together during the day, right before I walked to school hand and hand with her. The buses rumbled past our house rattling our corrugated tin roof which made the afternoons unbearable with not a shadow to spare between the concrete and asphalt. One day slipped into the next and I soon forgot that distant feeling of mi mama walking away from me and mi abuela’s firm hand not letting me run after her. We stayed there until her figure was so small against the horizon that it became a small grain of dirt against the jagged edges of the houses stacked up against the hill until the treetops reached for the fading sun. Inside there was a dull feeling of something emptying and falling upon itself. She walked in as easily as she’d left, two years later, walking down the same street as if time was liquid and her body just flowed right towards us with the same electric walk that made people turn their entire heads to look at her. This time she walked towards me, towards us and not one of us knew she was coming. She opened the door while I was doing my homework and I thought I had invented her with my pencil midair, the shoulder-length, black hair, hour-glass figure, jeans tight against her tighs, and a cherub face with a mischevious grin. She had a gold front tooth and sometimes it would glimmer when she talked or when she made her final bet in family poker games. Mi mama, la coyota. La machasa de la pelicula. She took us back with her to the United States that year, threw us into the desert for thousands of miles through Mexico and across the Rio Grande that none of us, including her, could swim. We walked, bused, hitchhiked, tomamos jalones, hopped the trains, ate bread and butter sandwiches wherever we could. It never crossed our minds not to follow her. Who wouldn’t? She was bigger than life. 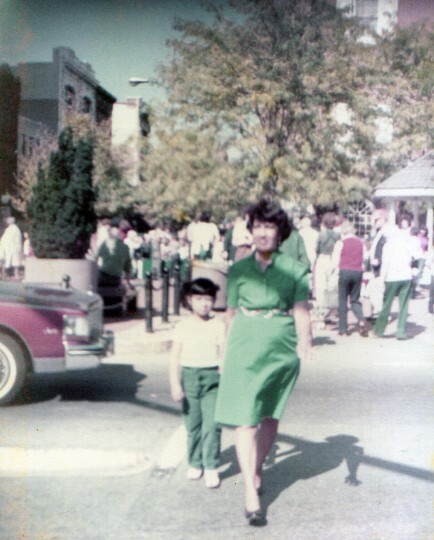 On El Día de la Mama, I thank mi abuelita for always being there for me and teaching me compassion. 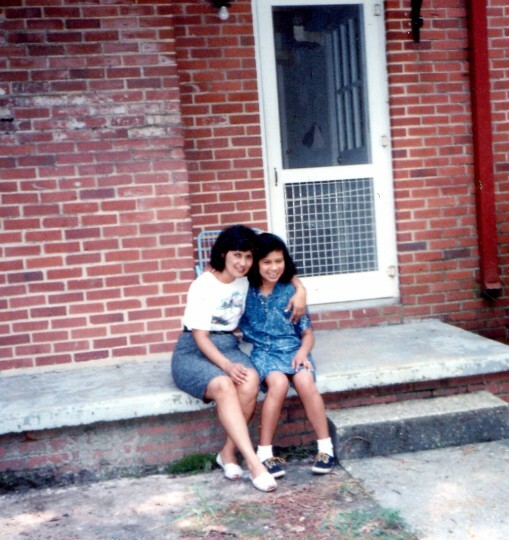 I thank Silvia, mi mama, the woman who has taught me to be exactly who she is: fearless. Posted on Sunday, May 13th, 2012 at 4:24 pm. Filed under: Blog, Team Guate	RSS 2.0 feed. Gracias Kara, esta muy linda la historia! Goods can come and go as they please but people have to sneak around in the night. How did the citizens of the United States lose their moral compass? Think of what the Americas would be like if we had open borders like the European peoples enjoy-what a waste. Europe only has open borders to other Europeans. In the 90s you could marry a European in the morning and apply for a passport in the afternoon. Now you have to prove your allegiance by living there for a number of years. It’s five in England, I think Spain is still the lowest with two but they’re desperate for people to add to the tax bracket. I think the bigger issue is the hypocrisy of a nation of immigrants wanting to wall themselves off and keep such a fertile land to themselves.